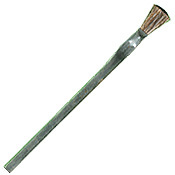 Brushes play a vital role in various stained glass processes. 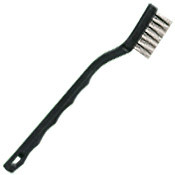 The wire brush is a necessity when it comes to cleaning the oxidation off the lead before soldering and before puttying. 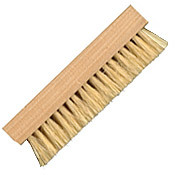 Control the application of flux with a flux brush and the natural bristle brush is perfect for use with whiting during the puttying stage, and can double as a bench brush, to remove all tiny slivers of glass from your work area.